Based on reviews from 18 experts and 3,409 users. 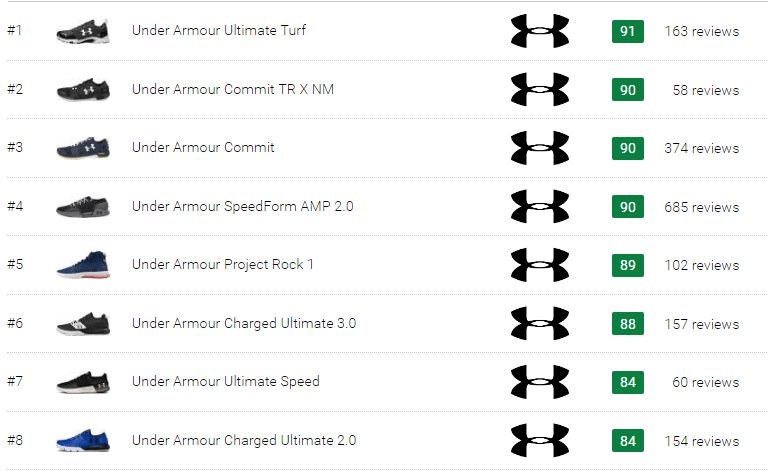 Learn how our rankings work or see our guide to Under Armour training shoes. Updated Apr 2019. Under Armour is one of the youngest major athletic brands, but it has gained a following over the years because of its quality products. The brand first obtained prominence in the sporting world thanks to its moisture-wicking shirts. This careful consideration of what athletes need on and off the sports field has translated to all of its merchandise, including its footwear. There is a good reason for why the popularity of Under Armour footwear has boosted so rapidly in a matter of years. Its dedication to quality and performance has been acknowledged by numerous consumers across the globe. 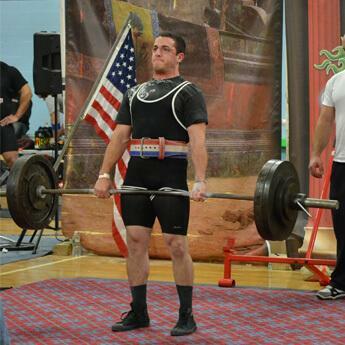 Below are listed some of the other reasons why people choose training shoes from this brand. If you are in search of an all-around workout shoe for either enty-level, intermediate, or advanced athletic activities, you can find a good match among Under Armour training shoes. Even though the brand does not design footgear for specific workout routines, such as weight training or CrossFit, their shoes are crafted to be comfortably worn from one activity to another without having to change shoes. 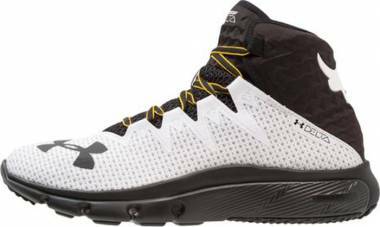 Under Armour training shoes have sufficient stability for weightlifting and squats as well as flexibility and cushioning for plyometrics and runs. The materials in these trainers are also ready to endure the wear-and-tear of both indoor or outdoor exercises. Some people like training shoes that have a low-cut profile, while others prefer mid-cut trainers with proper ankle support. The type of closure on the footgear could also be a deal-breaker in the decision-making process as some prefer laces, while others go for a hook-and-loop strap. The materials used in the upper unit as well as its color and overall style may also have an impact on a person’s choice. Under Armour training shoes are offered in a variety of styles and colorways that would appeal to the different tastes of consumers. Under Armour offers training shoes for both men and women. Some models are available in sizes for both genders while others are only available in either male or female versions. As for the width, Under Armour training shoes usually come in a medium profile, D for men and B for women, though several models are available in a wide width. Under Armour training shoes cost between $70 to $300 depending on the technologies implemented in the footwear. For those who are just starting with their fitness journey and are still in the stage of trying out what regimens will stick, purchasing a lower-priced footgear would probably be the practical move. Also make sure to check if any of the shoes are available for sale. Just click on any of the trainers on the list above to find the best deals from more than 200 online retailers. The SpeedForm is a type of upper construction used in some Under Armour training shoes. This architecture forms a seamless heel cup and insole combination. It is a structure that lends full support from the sole to the top of the foot. It is completed by the external heel clip that holds the rearfoot steady during workouts. This proprietary foam technology promises to deliver shock absorption and energy return in one platform. According to the brand, this foam compound absorbs shock and converts it into energy for a quick push-off. The mechanics of it works to ensure that the foot is kept comfortable and injury is prevented. This type of cushioning is found in a popular Under Armour Commit workout shoe. The Micro G technology is a low-to-the-ground cushioning platform. It is crafted to be lighter and sleeker compared to traditional foams used in training shoes. Under Armour training shoes equipped with this type of foam are intended to be stable and supply comfort at the same time. These characteristics made the Micro G a cushioning unit of choice for the acclaimed Project Rock 1 gym shoe, designed in close cooperaion with Dwayne “The Rock” Johnson. 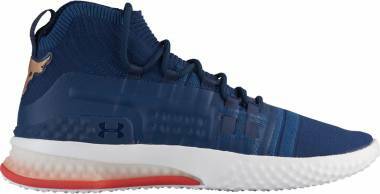 Another popular model with this technology is the C1N Under Armour trainer, crafted in partnership with an American football quarterback Cam Newton. Under Armour utilizes a 3D-printing technology to produce items that are functional and unique. 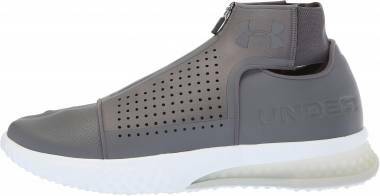 Under Armour training shoes equipped with a 3D-printed midsole are meant to provide bounce when it is pressed down for better energy return. It is easily identifiable because of its lattice design that aims to bring customized cushioning and a futuristic look. Like most popular brands today, Under Armour started out with an idea, the trunk at the back of a car, and a lot of perseverance. Kevin Plank, the man behind the brand, was a football player at the University of Maryland in 1990s when he noticed that though his cotton undershirt was soaked in sweat during practice, the compression shorts he was using was not. Thus, he began researching about synthetic fabrics and how they help wick moisture away from the skin. He came up with the prototype of his moisture-wicking shirt in the basement of his grandmother’s house and gave the first batch of shirts to his former teammates and friends that went on to play in the National Football League. Further testing led him to the discovery that microfibers are great at wicking moisture and made shirts using this type of material. The perfected shirt was lightweight and kept athletes dry and cool during practice and games. The brand name is fitting since it is an article of clothing worn under a football jersey and protects the wearer from sweat. As for the British spelling of Armour, the reason behind it is pretty straightforward — the toll-free vanity number for that word was still available. Though the moisture-wicking shirts were effective, it was not an overnight success. Jeff George, the Oakland Raiders quarterback, played a huge role in Under Armour getting noticed. George was wearing an Under Armour shirt on the cover of the USA Today. From then on, Kevin Plank was able to score deals with college football teams and, eventually, NFL teams. It even landed spots in movies which cemented its high-profile status. In 2006, ten years after the company was formed, Under Armour launched the Click-Clack campaign. The ad was the brand’s way of announcing that it has officially entered the football cleat-making business. The company used some of its apparel technologies in its footwear such as moisture-wicking components that keep the foot dry and cool during practice and games. Less than two years after the launch of its football boots, Under Armour released the Prototypes. These training shoes were touted as game changers in the cross-training category. They all utilized directional cushioning where the foot needs it the most. The Prototypes came out in three variants: Proto Power, Proto Speed, and Proto Evade. Since then, Under Armour has released more cross-trainers to meet the ever-growing and evolving demands of the training community. What are Under Armour training shoes used for? Under Armour training shoes are produced using durable materials and are designed to be versatile. Even though they are not as focused on one specific regimen, like CrossFit shoes are, they can still endure most high-impact exercises involved in this workout. Thus, Under Armour training shoes are meant to be comfortably worn from one activity to another. Are Under Armour training shoes available in wide options? Not all Under Armour training shoes are available in wide options. The reason behind this is that most of the brand’s training shoes already feature rounded toe boxes that accommodate most types of foot shapes and have enough room for toe splaying. When should I replace my Under Armour training shoes? The recommendation is that you replace Under Armour every six months to ensure that the tool you are using for working out functions properly. But there are also several factors to consider such as how often the trainer is used, where it is worn, and the type of workout the wearer participates in. The key to knowing when a training shoe should be replaced is when it’s showing signs of deterioration such as rips or unthreading in the upper, the worn-out outsole, or the lack of cushioning in the midsole. How do I clean my Under Armour training shoes? Cleaning Under Armour training shoes is fairly easy. Start off by removing excess dirt with a dry clean brush. Dip a clean sponge or towel in a mixture of mild detergent and warm water to remove any stains from the trainer. Using a clean damp cloth, wipe down the shoe and leave it to air dry. The brand does not recommend machine washing or completely submerging its training shoes in water to clean it as those actions could compromise the construction of the footwear. Household cleaners should also not be used as they could deteriorate some parts of the footgear.